The Ethypharm Group is delighted to announce the appointment of Jean MONIN as Group CCOO. This appointment took effect on 21 January, 2019. He joined the Group's Executive Committee. Jean MONIN, 52, is a Pharmacist and a graduate of the ESSEC Business School. He has a solid background in the Pharmaceutical Industry, with over 25 years' experience including 12 years abroad. 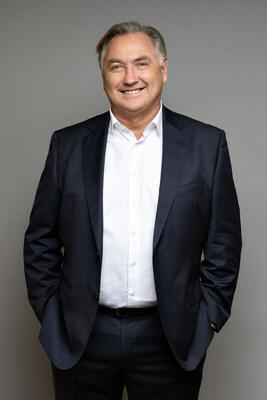 He started his career as a Medical Information Officer with Rhône Poulenc in Australia, then developed his managerial skills over time with roles of increasing complexity, mainly in the Marketing and Sales divisions of Aventis France and Sanofi Spain, before being appointed in 2007 as General Manager of Sanofi in Norway, and subsequently in Belgium & Luxembourg. In 2010, he left Europe to take up the position of General Manager of Sanofi's Australia & New Zealand subsidiary. In 2012, Jean moved into 'biotechs'. He joined Amgen and became the head of the Group's largest European subsidiary as Vice-President General Manager of Amgen France. Bertrand Deluard - CEO of Group Ethypharm - comments: "Jean's leadership skills, international experience and market awareness will greatly help Ethypharm achieve its ambitious development goals. His expertise will be a key asset in guaranteeing high performance among our commercial operations performance in Europe and around the world. In terms of transformation, Jean will be eager to help implement the Group's strategy, develop our partnerships, strengthen our growth platforms, and support the successful launching of our future products in the areas of pain, addiction and critical care. "Growth is fundamental if we are to continue delivering essential medicines to our patients. I am very proud to contribute to Ethypharm's commercial success, as talented people throughout the company maintain an impressive track record of transforming their business to deliver this growth," adds Jean MONIN - Chief Commercial Operations Officer (CCOO) of the Ethypharm Group. Ethypharm is a European-based specialty pharmaceutical company with global reach and a committed player in the treatment of pain and addiction. Ethypharm also develops and markets complex generics and essential medicines that help reduce healthcare costs, particularly in the field of emergency care and oncology. Our ambition is to become the European leader for the treatment of pain and addiction, and to help patients around the world gain access to high quality, essential and affordable medicines.